The Inter annual result 2015 is pending with a long period, many students are waiting and asking for date of Inter annual result 2015. In the past time I intimation you in time but now the PBCC decided very late for date of result announcement. 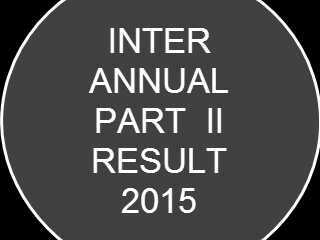 Today we found the result date for Inter annual result 2015 i.e. 12-sep-2015 on 10:10 A.M. This intimation taking from a PBCC letter is finally and may Allah pass all hardworking students with highest marks. Ameen.